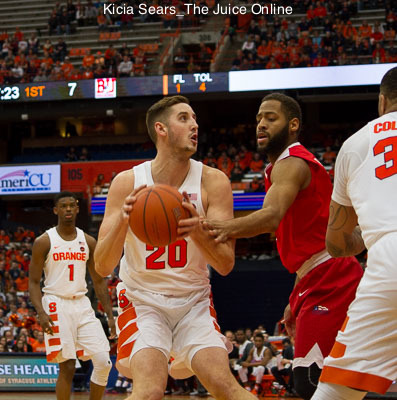 The one bright spot in Syracuse’s Christmas-ruining 78-71 loss against Georgetown was Tyler Lydon. Lydon had a career high 29 points on 12-13 shooting and nine rebounds. 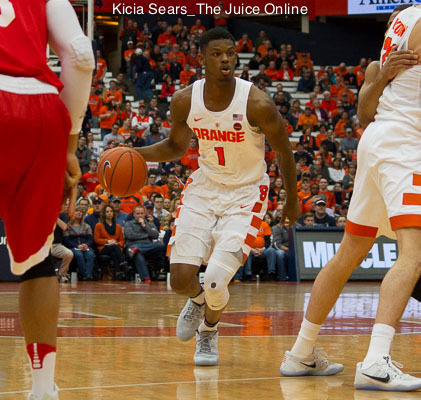 Though it wasn’t enough for a win, SU saw a player it had seen in fits and starts last season. While Lydon has certainly earned the praise, the rest of the team, however, doesn’t have a whole lot to brag about. 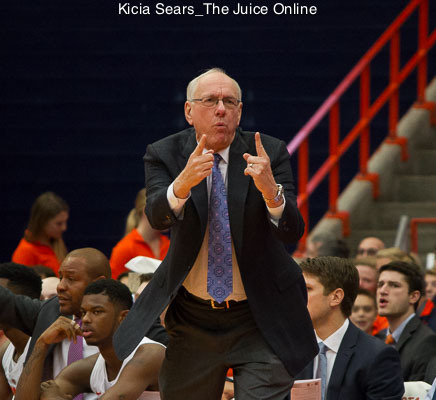 The Orange struggled on both sides of the ball, got outrebounded by more than 10 rebounds yet again, and the guards were unable to capitalize on fast breaks and sustain any momentum. This wasn’t lost on the players. Still, Lydon having a break-out game bodes well for the rest of the season. He will be a critical player should SU eventually make an NCAA Tournament push. Lydon and freshman Taurean Thompson proved to be critical in breaking down Georgetown’s zone. Then again, it’s still December, and Syracuse’s season is far from over.